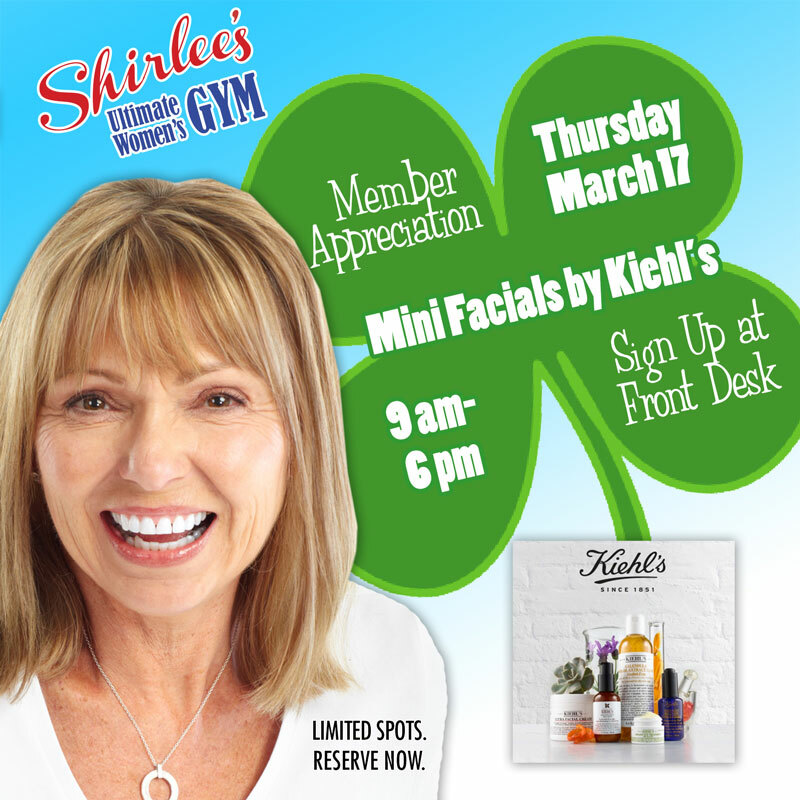 Shirlee’s would not be what it is today without our fabulous members. We want to thank you for your support by offering you the chance to get a free mini facial from Kiehl’s. Spots are limited so please sign up at the front desk. The event will take place on St. Patrick’s Day, March 17, from 9 am to 6 pm. We will also be having a Lorna Jane trunk sale that day so you can shop for quality activewear right here at Shirlee’s.